What will the lucky winner receive, I hear you ask? 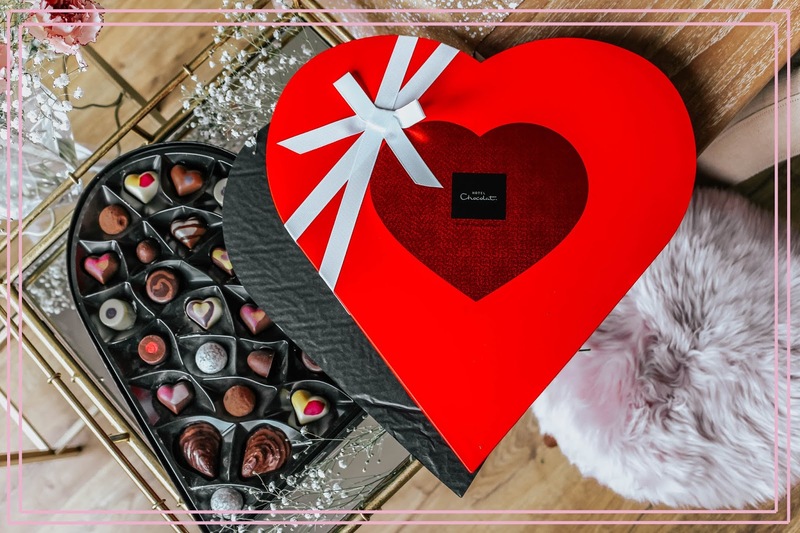 A Straight From The Heart Chocolate Box featuring a selection of 35 delicious chocolates; caramels, cocktails, fruities, pralines and more. 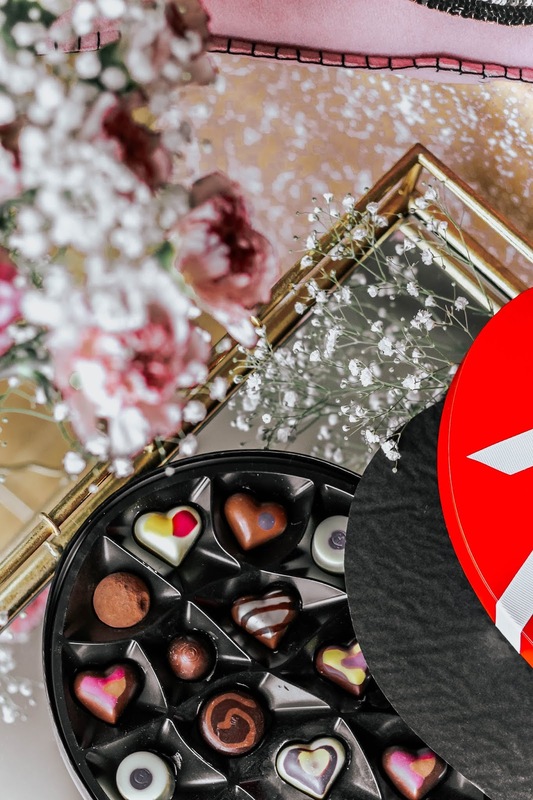 All of which can be found inside a striking red heart-shaped box, tied with a white ribbon. My personal favourites are the Salted Carmel Kiss and Praline Oysters. Mmmm. All you have to do to enter, is scroll down and enter the Rafflectoper below. You can complete as many or as few entries as you'd like, though remember the more entries you complete, the better your chance will be of winning! This giveaway is open worldwide and will run for one week - good luck! These chocolates are almost too pretty to eat. Key word...almost lol. Oh that box looks amazing! 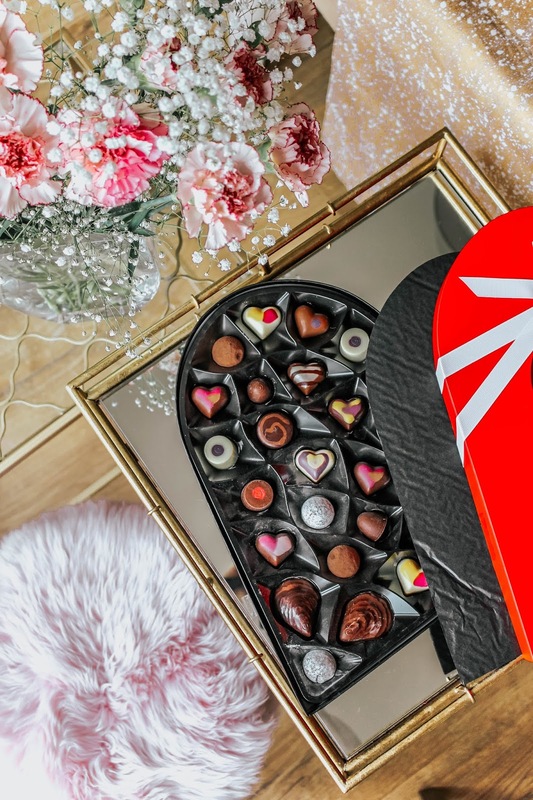 I love their chocolate, this would be such a good Valentine's day gift! thank you for the giveaway! 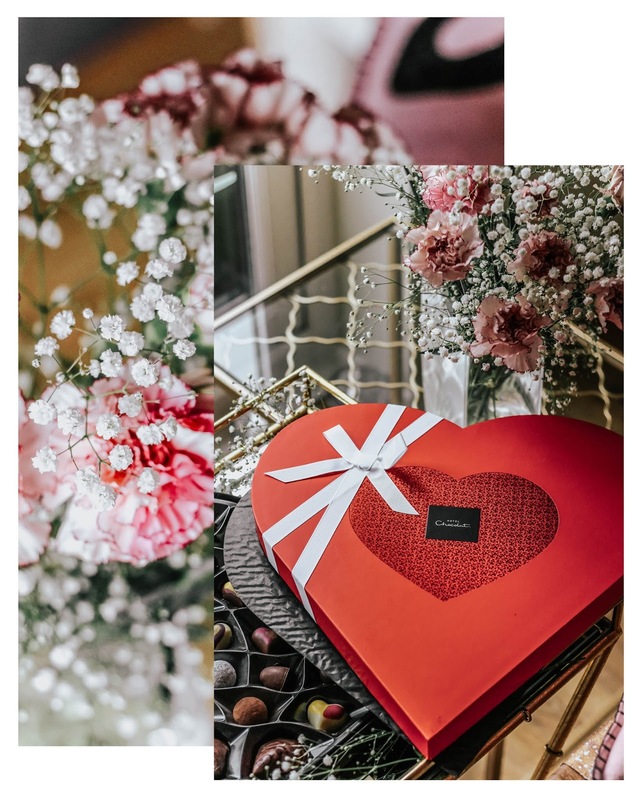 I feel like there are a ton of things to love about February, given that is is my birthday month, but I agree, chocolate is always a good way to brighten up a grey month. Tons of yummy chocolate is the best Valentines gift :) Good luck to all participants! OMG these look so yummy! 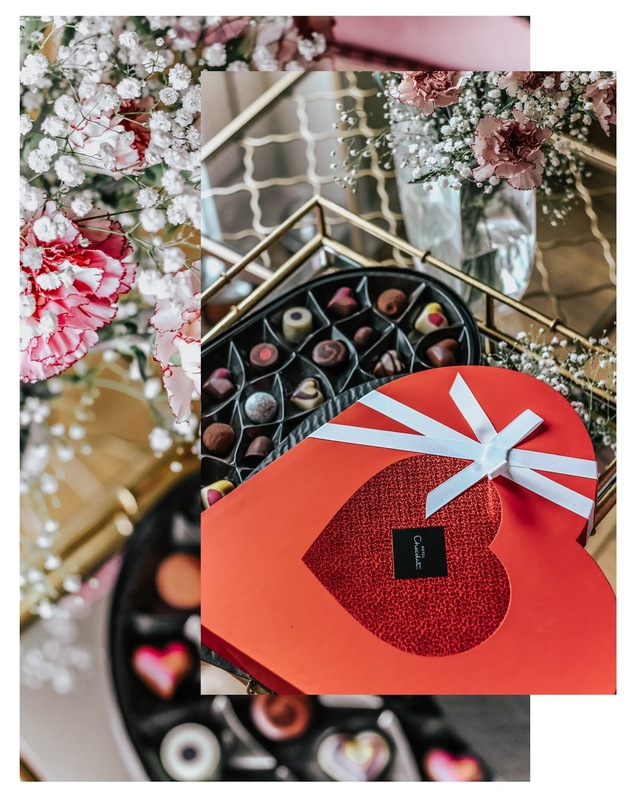 That Heart Chocolate Box looks amazing. Great presentation and photos. This is such a lovely giveaway. So sweet! Thanks for hosting a giveaway, love. They look soooo good babe ! I need them haha ! Ooh - what a lovely giveaway! This is beautiful! Wishing you a wonderful week and can't wait to see more from you gorgeous! This chocolate looks amazing. Nothing better then luxurious chocolate! And a no brainer for Valentines Day. I generally spend mine at FW. These chocolates are amazing! I like books and think that all of them are really delicious! These looks so unbelievably delicious, YUM! I hope you have a wonderful weekend ahead! I can't wait to lay my hands on one of those. Thanks for sharing they really look delicious. 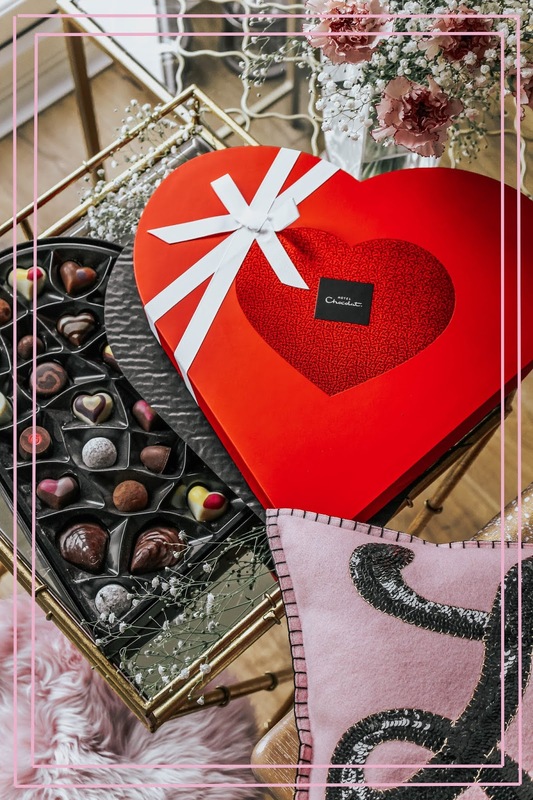 What an amazing giveaway I want me some chocolates, yummy! 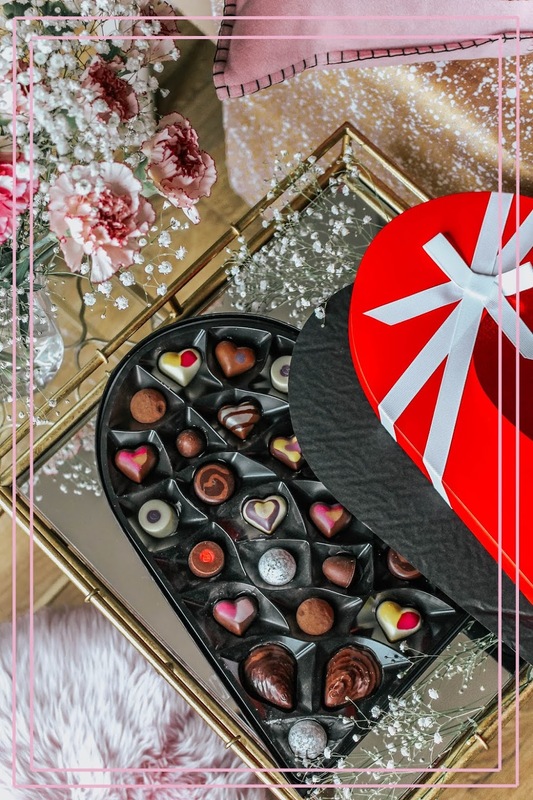 Chocolate is the best part of Valentine's Day! That heart filled with chocolate looks so so good. I always love when you can try different kinds of chocolates all in one product. This looks sooo heavenly! Can't go wrong with a box of chocolates this Valentines.